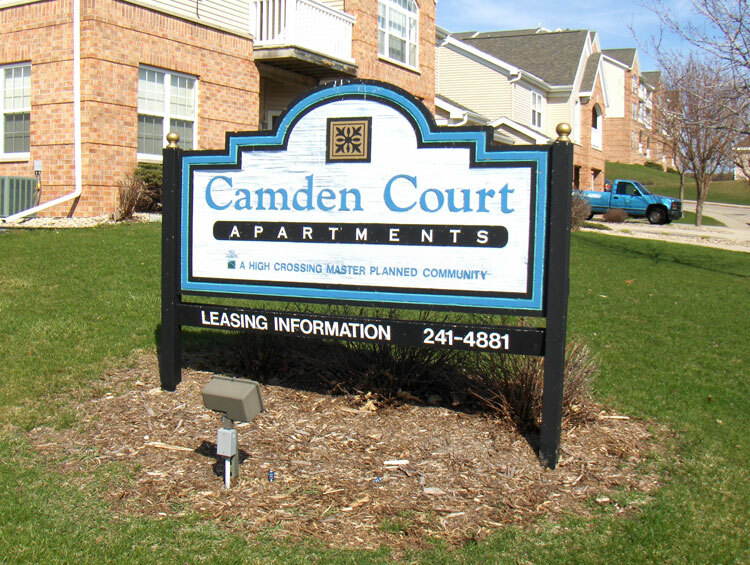 We at Madison Sign work closely with property management companies to ensure that there is clear communication between management and tenants. 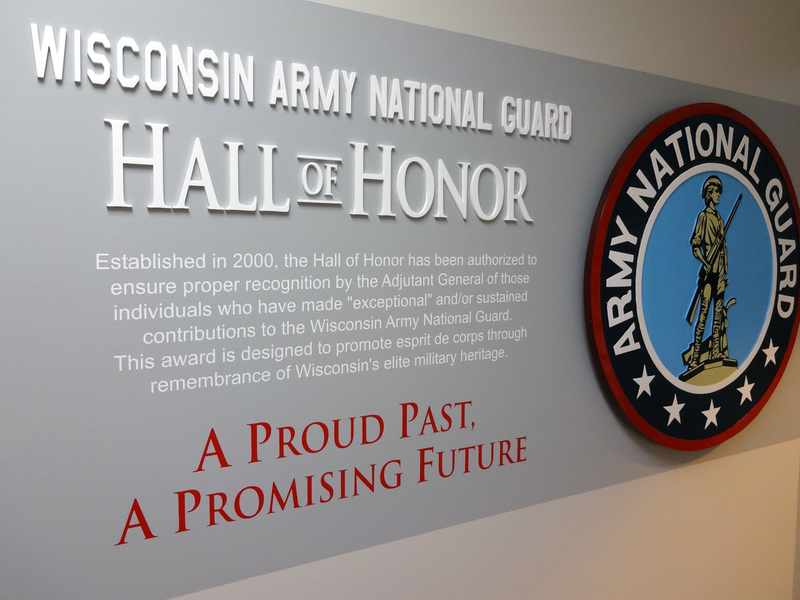 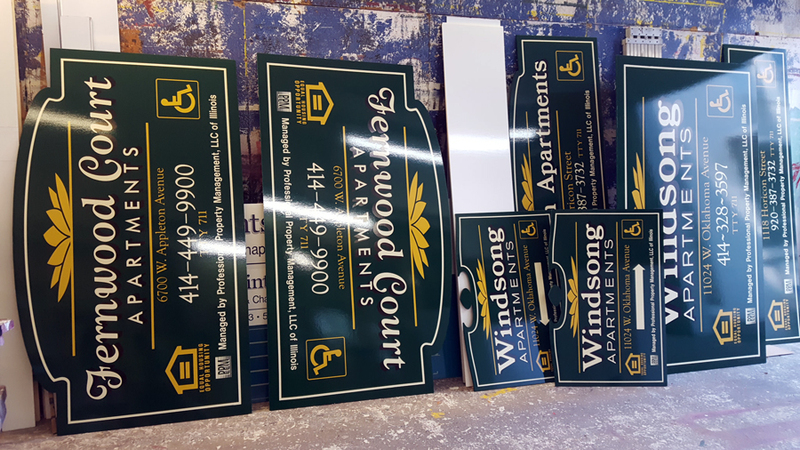 We work with you all the way from the initial marketing signage to the nuts and bolts of grounds signs and instructional signs. 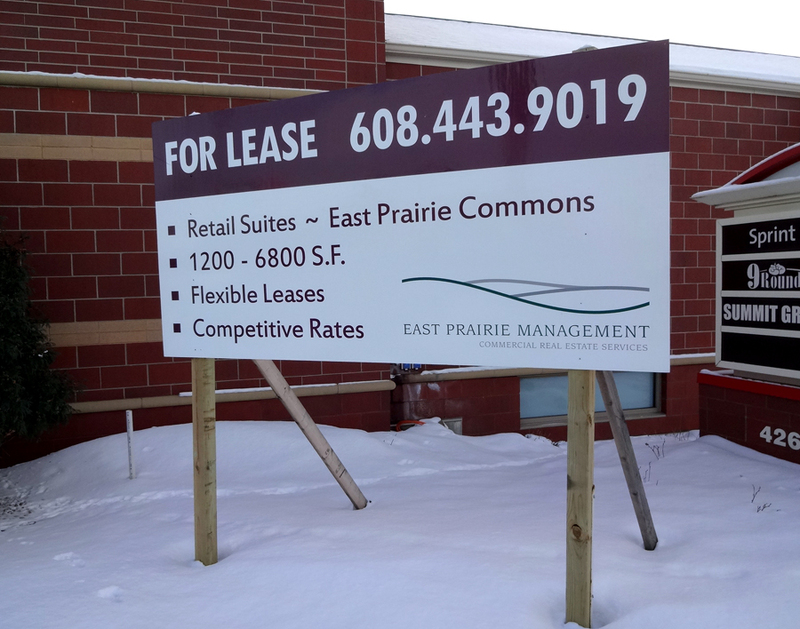 Coming Soon Renderings – Leasing signs for new properties under construction. 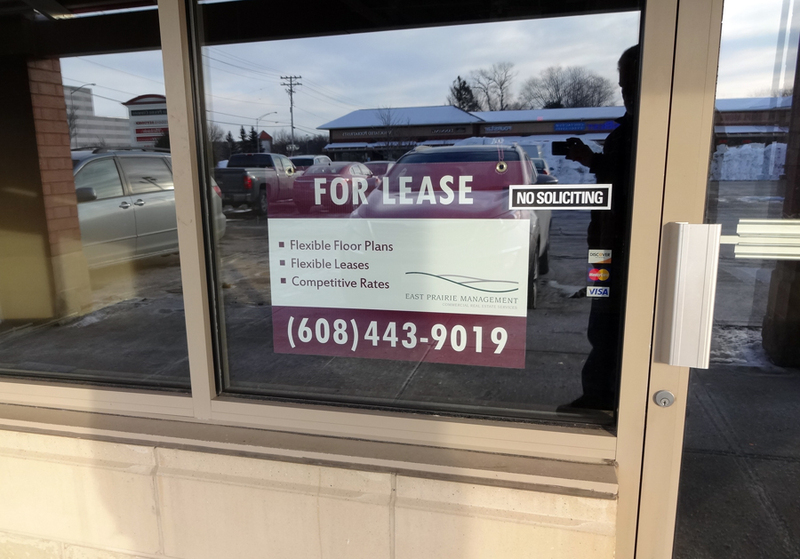 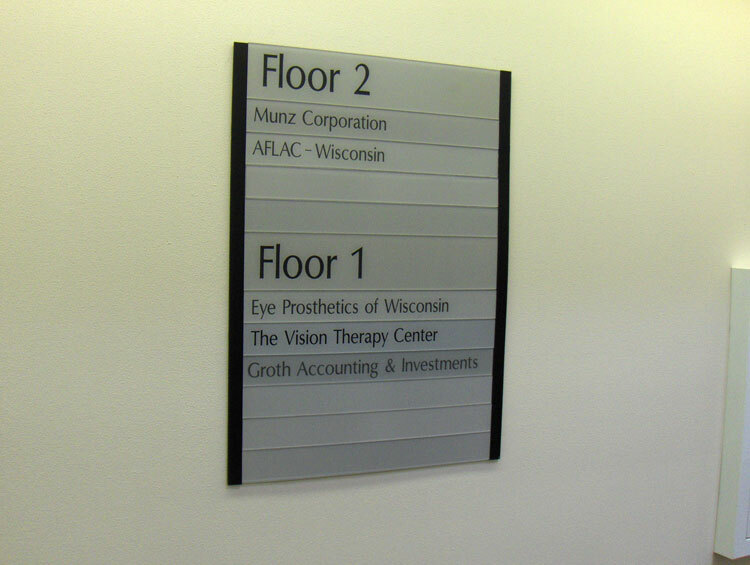 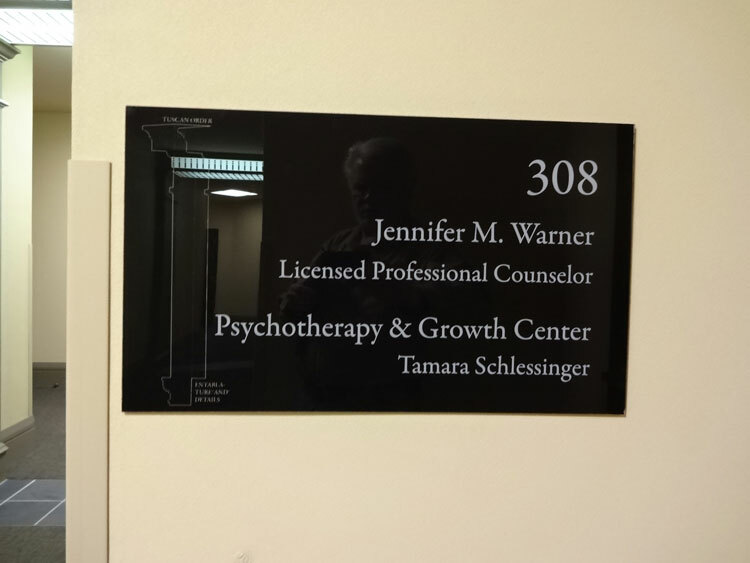 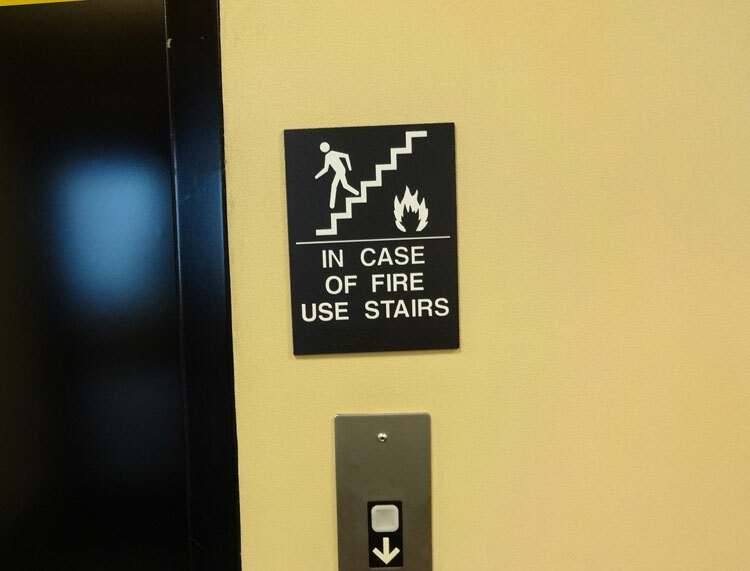 We can help with the sign design and also include building renderings on the signage to help potential tenants visualize the building before it is built. 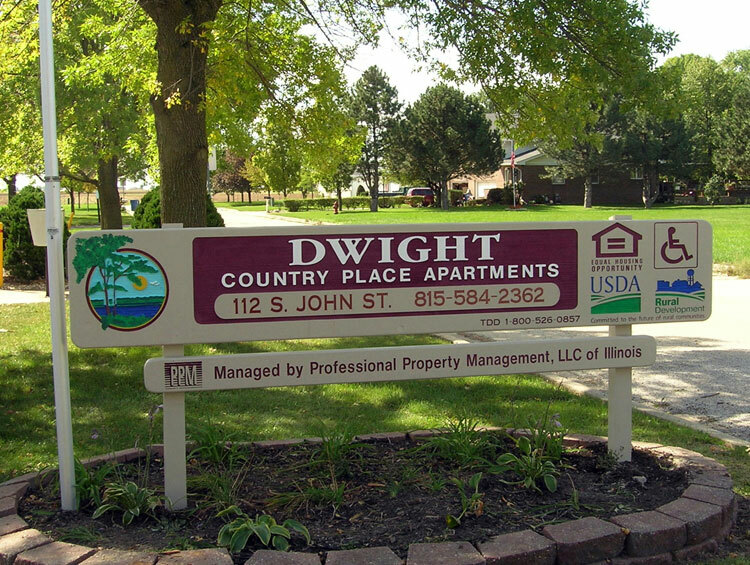 Ground Signs – Ground signs are an attractive compliment to any property. 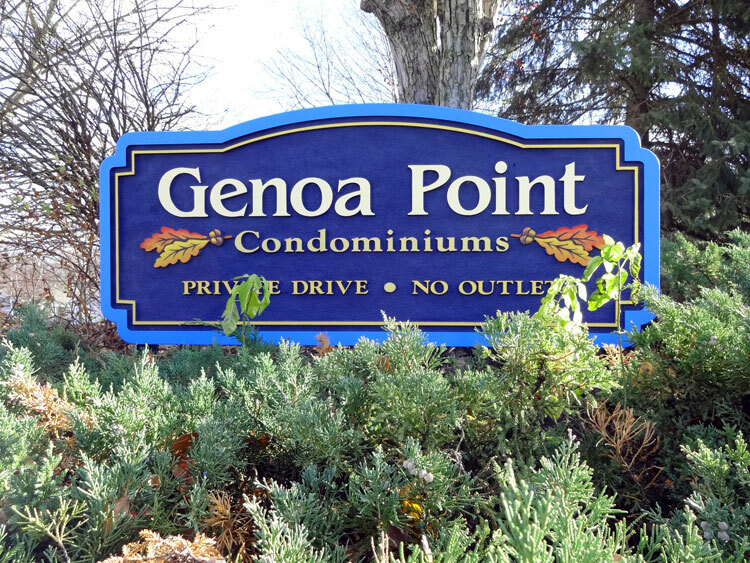 We specialize in sandblasted condominium signs and sandblasted apartment signs that tastefully identify the property. 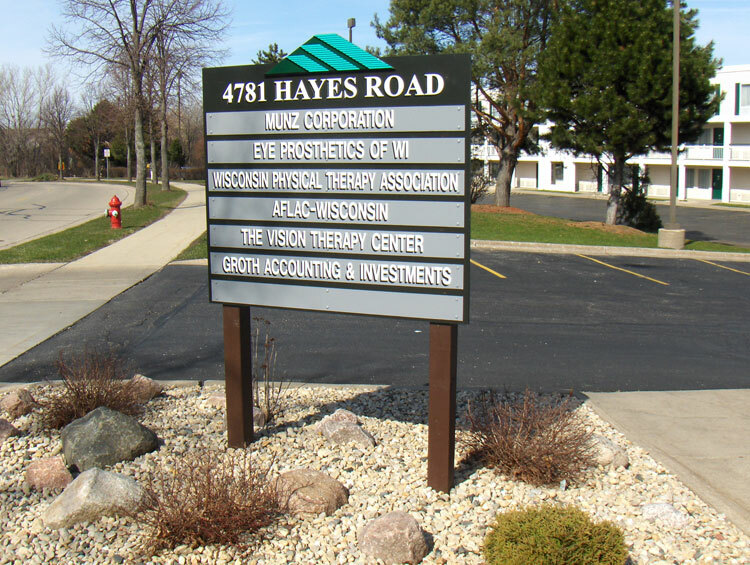 Yard Signs – metal yard signs with frames or light weight Coroplast plastic signs are an economical way to draw attention to the property. 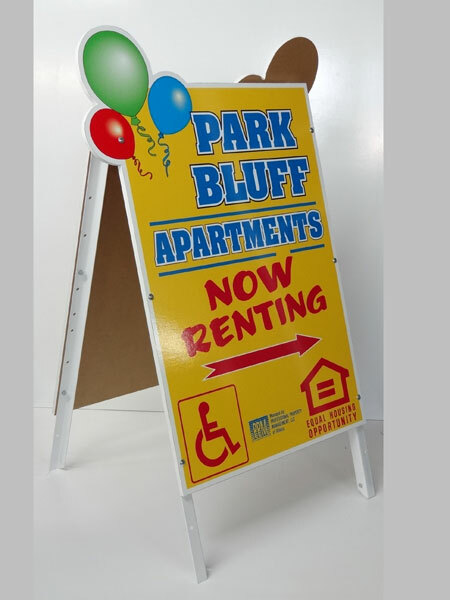 Banners – market your available space with a cost effective large For Lease banner. 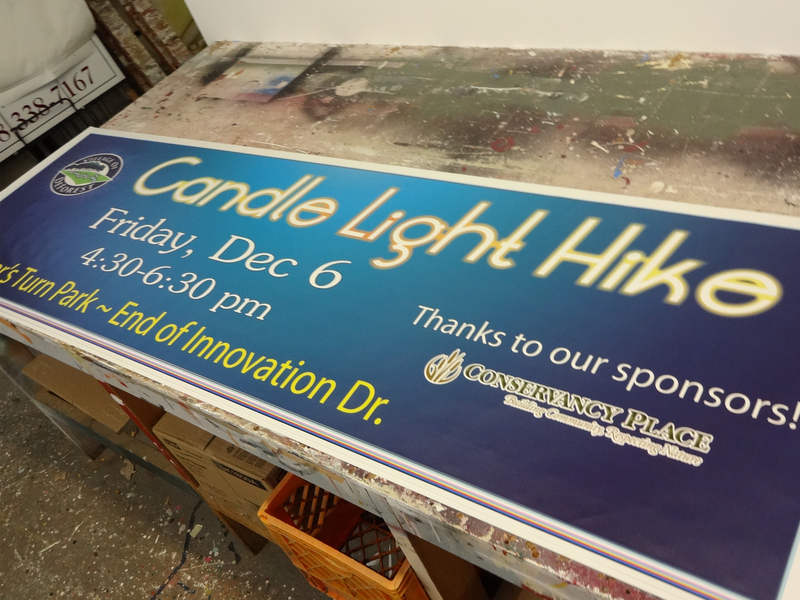 We also make tear drop banners and feather shaped banners to display along the roadway. 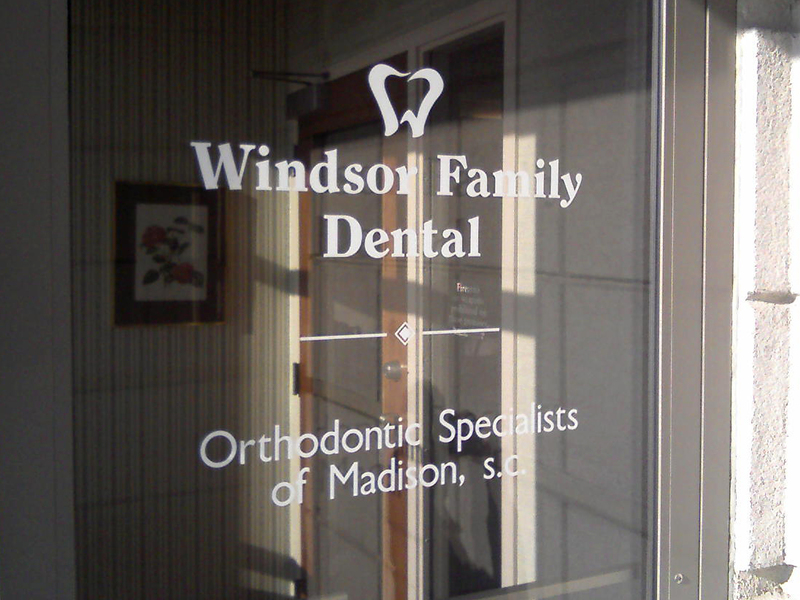 Window Signs – Paper banners and posters for window displays make economical retail window signs. 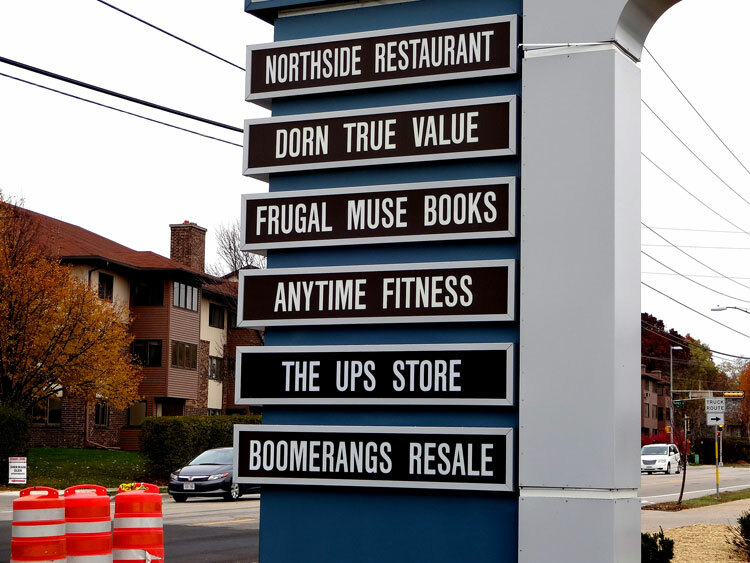 Subdivision Signs – We make subdivision leasing signs with a flare for design that gets noticed . 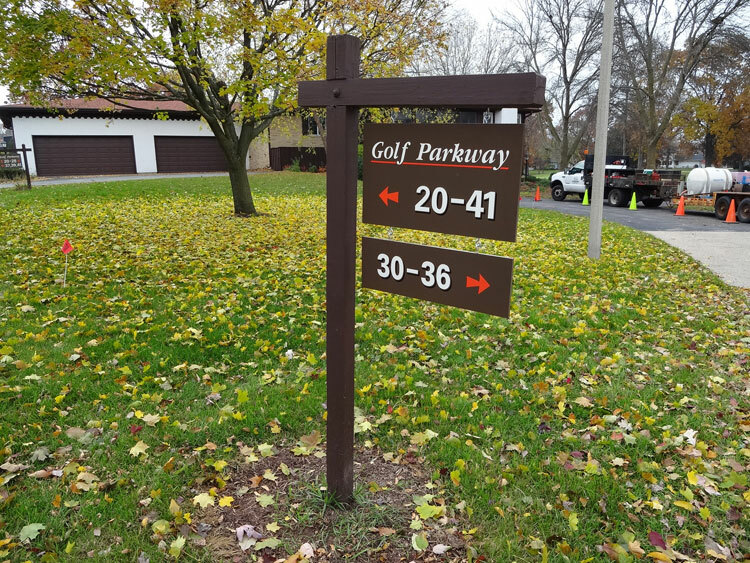 Site Lot Maps – Site maps included in the layout of a property’s development signs help the visitor locate the lots and visualize the lot sizes. 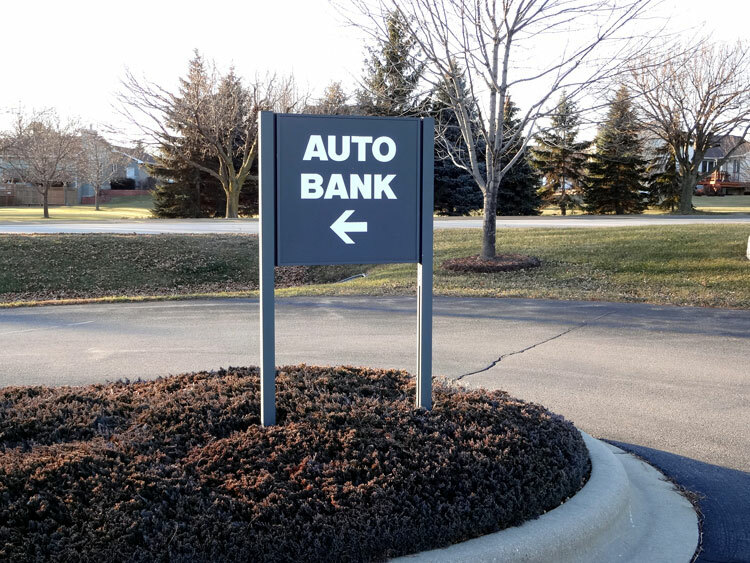 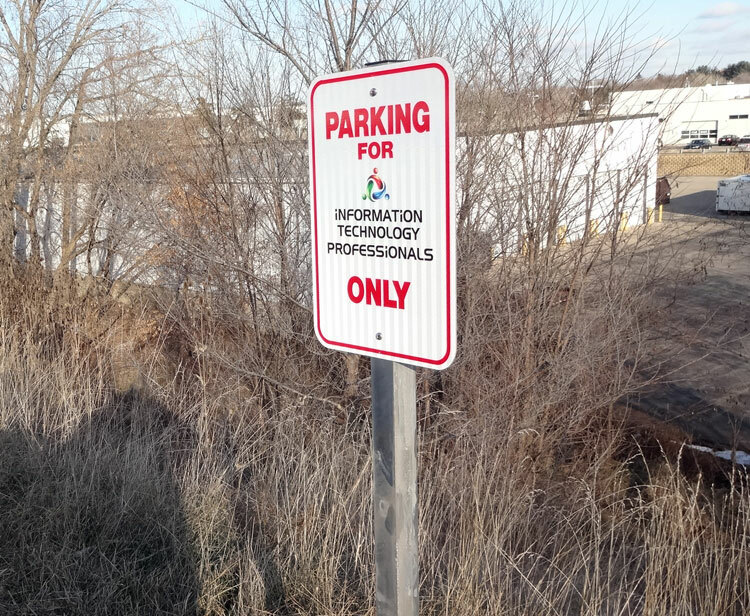 Lot Identification – Lot identification signs help specify the individual lot location. 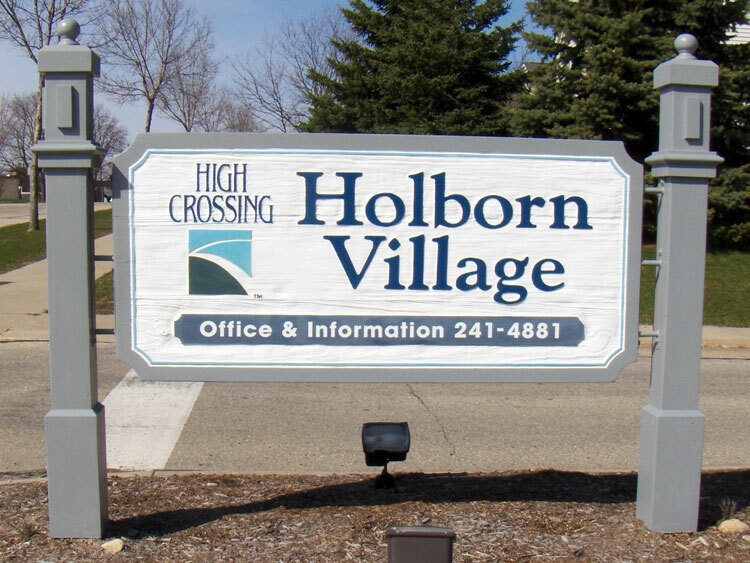 Custom Street Signs – We make custom street signs to personalize and create cohesiveness in a private community development such as a condominium complex. 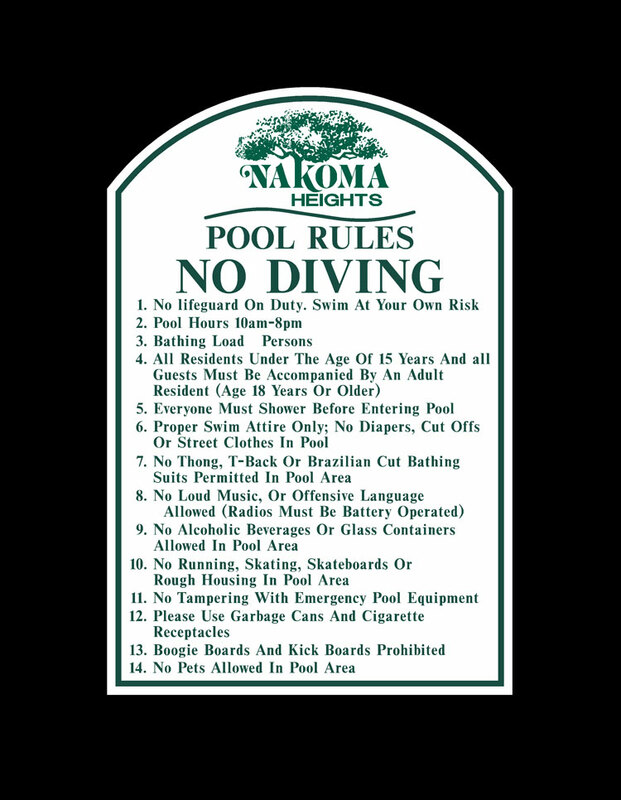 Pool Rules – There are many types of grounds signs needed in any property development. 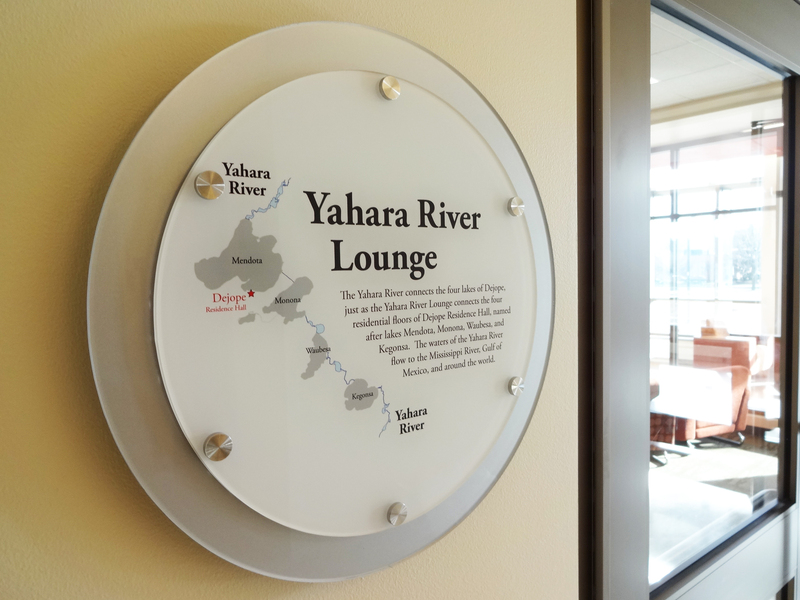 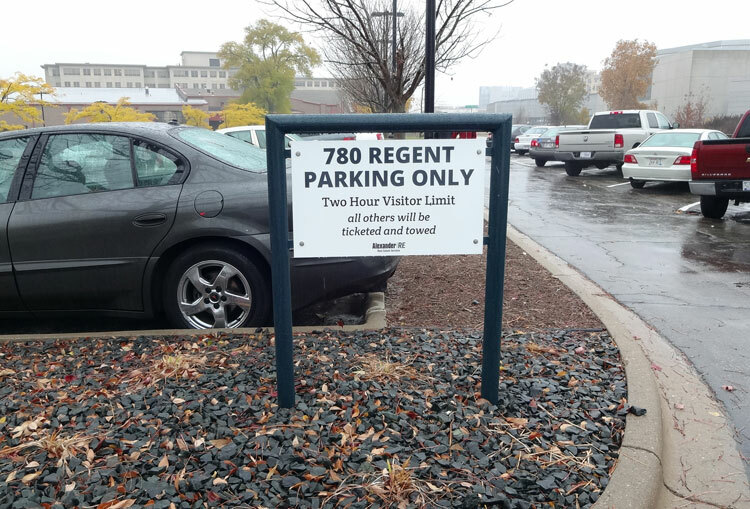 We make everything from pool rules signs to community center signage, including directional signs and parking lot signs.